Medicine Buddha Puja and Prayers for the Deceased starts at 2pm. All welcome. Guru Puja starts at 5pm. All Welcome. 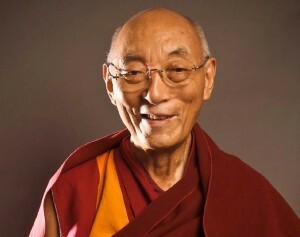 His Eminence Choden Rinpoche was a highly realised master, scholar and yogi who passed away last September. He visited Hayagriva Buddhist Centre several times giving teaching and tantric initiations. As is common for highly realised practitioners, precious relics were collected following his cremation and will be on display at our Centre. They are said to empower blessings on those who view, make prayers to, or circumambulate them. The relics are considered a result of the master’s special compassion and wisdom. By Donation: Donations will go towards building a stupa in Bodhgaya, India, for Kyabje Choden Rinpoche. Thank you. Note: The regular Saturday morning yoga will be held at a venue outside the centre. However there will be a regular Sunday morning meditation at 10am. Visitors are asked to turn off their mobile phones and to be as quiet as possible. Volunteers will be in attendance throughout the two days to assist as needed.